One temple has the tallest gold plated statue of Buddha in Europe, while another holds the sacred corpse of a mummified monk. For the majority of these followers, Buddhism is their traditional native religion, and has been historically widespread in the republics of Kalmykia (southern Russia), Buryatia (eastern Siberia) and Tuva (southern Siberia). Therefore, these regions have some of the most impressive temples. 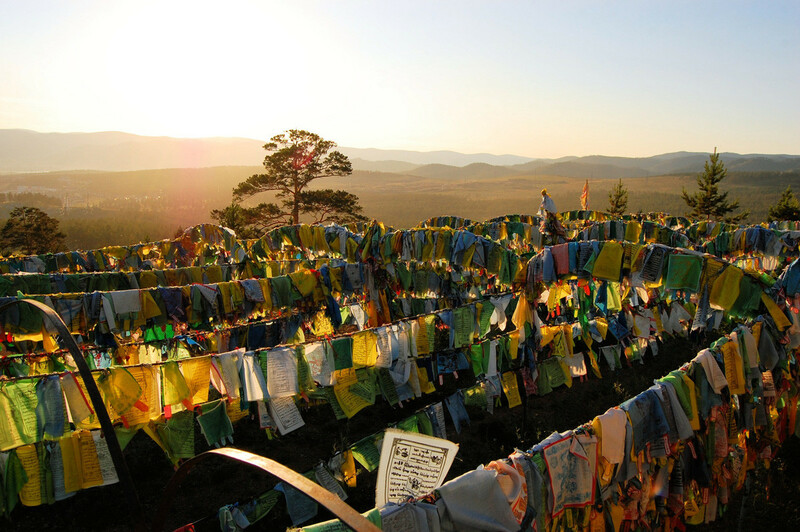 Located 38.5 km from the city of Ulan Ude in Buryatia, Ivolginsky Datsan is considered the center of Russian Buddhism, home to the Buddhist Traditional Sangha of Russia and Pandido Khambo lama, the leader of all Russian lamas. Founded in 1945 following official permission from the Soviet authorities, it grew from a small wooden house to a large complex comprising 10 buildings. One of the mysteries of Ivolginsky Datsan is the preserved corpse of Dashi-Dorzho Itigilov, the former head of Buryat Buddhists who died in meditation in 1927. Despite the decades that have passed, his body is still preserved without any signs of decay – a miracle that attracts pilgrims from around the world. 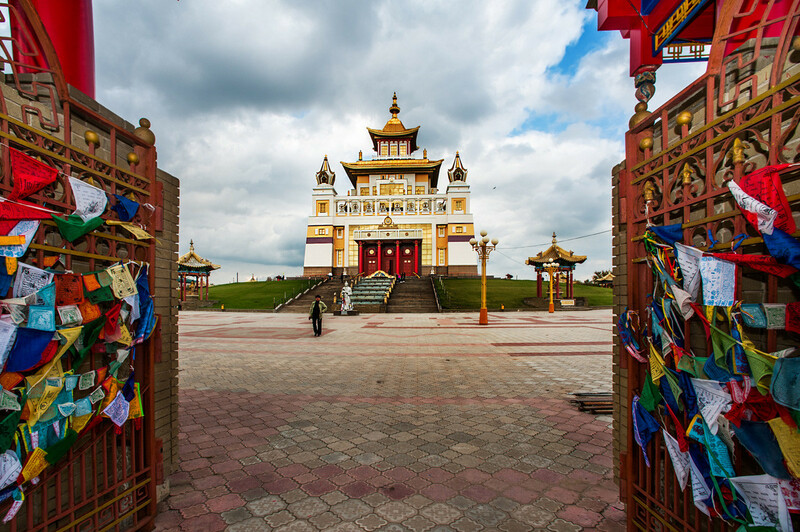 The Golden Abode of the Buddha Shakyamuni (or the Burkhan Bakshin Altan Sume, as it’s called in Kalmykia) is located in the very heart of Elista, the capital of the Republic of Kalmykia. 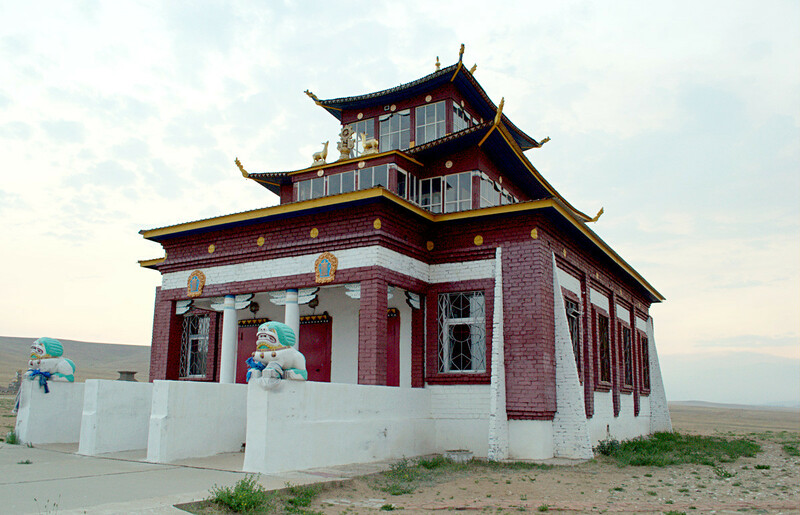 Opened in 2005 as a symbol of Kalmykia’s cultural and religious revival, it can be seen from anywhere in the city. It has seven levels that host not only halls for prayers and meditations, but also a library, a museum and a conference hall. This temple’s most interesting feature is the 9-meter high gold plated statue of Buddha – reportedly the highest statue of Buddha in Europe. 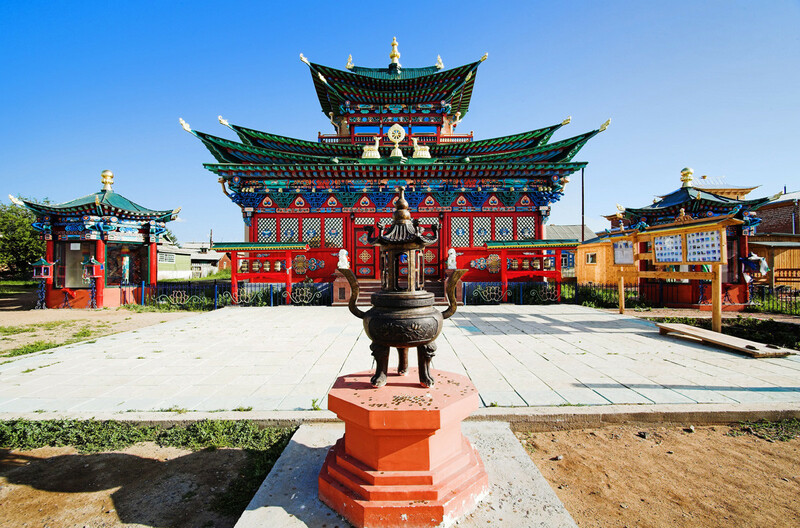 The northernmost Buddhist temple in Russia, Datsan Gunzechoinei, is also the first built in the European part of the country. 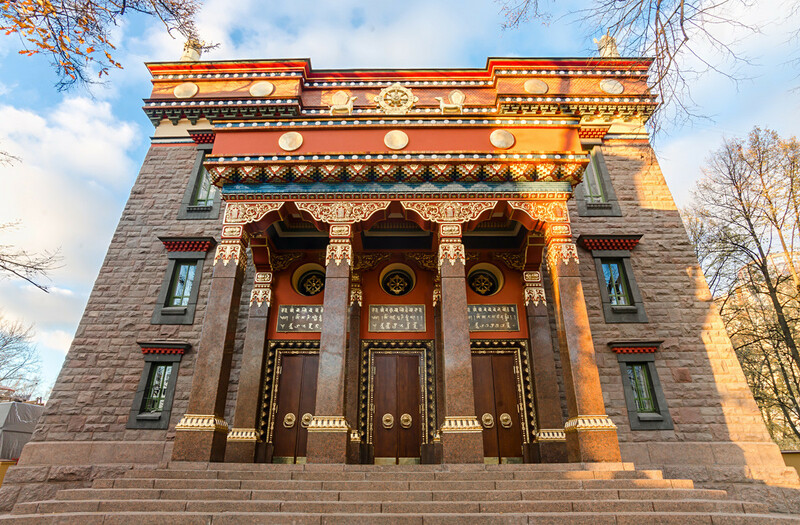 Founded in 1909 upon agreement between Tsar Nicholas II and the envoy of Dalai Lama XIII Agvan Dorzhiev, it’s one of the most expensive Buddhist temples in Europe. Built from crushed granite it was decorated with lavish décor and has stained-glass windows created by famous painter Nikolai Roerich. Following the 1917 Revolution, the temple was closed and then nationalized in 1938. 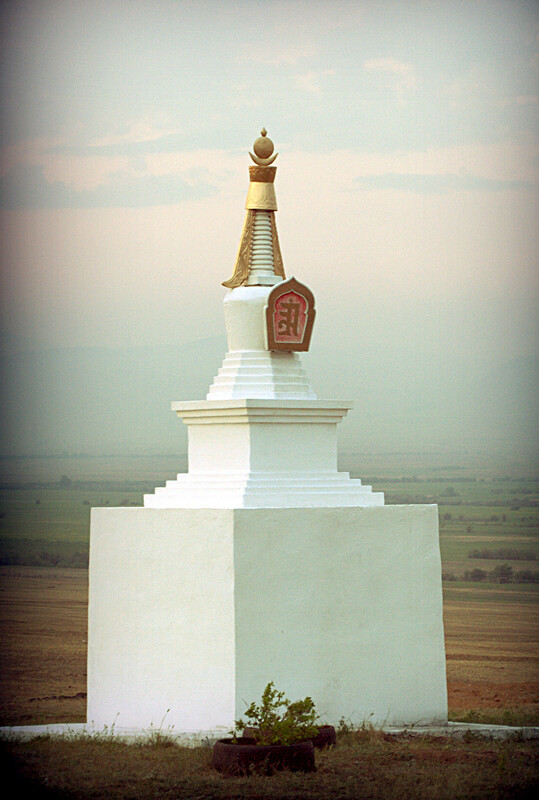 Only in 1990 did the temple reopen as a religious center managed by the Buddhist Traditional Sangha of Russia. According to reports (in Russian), 300-500 people visit the temple daily and the overall estimated number of Buddhist followers in St. Petersburg is more than 15,000. Founded in 1825, Atsagatsky Dastan (formerly known as Kurbinsky Dastan) is located in the village of Naryn-Atsagat in the Republic of Buryatia. It was also the place that saw many key figures in Russian Buddhism, including the above mentioned Agvan Dorzhiev, who was born in a nearby village. Up until 1930s the place was one of the centers of Tibetan medicine and a gathering place for Buddhists from across the country. In 1936, it was closed by authorities, but reopened after the fall of the Soviet Union. Located not far from the city of Elista, Sakusn-Syume is rather new. 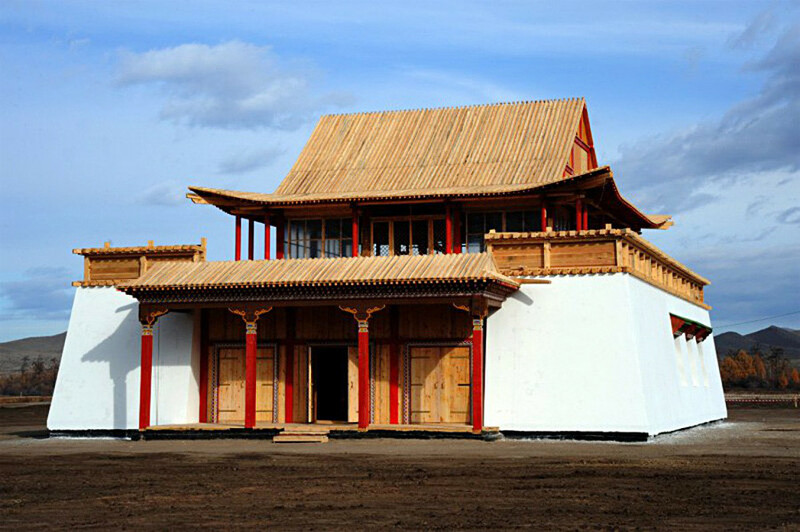 The large complex, which was meant to become a center of spiritual education, opened in 1996, and was the key center of Buddhism in Kalmykia until the construction of the Golden Abode of the Buddha Shakyamuni. Sakusn-Syume was designed based on the example of Tibetan Buddhist temples, and has a 3.5 meter high gold plated statue of Buddha. 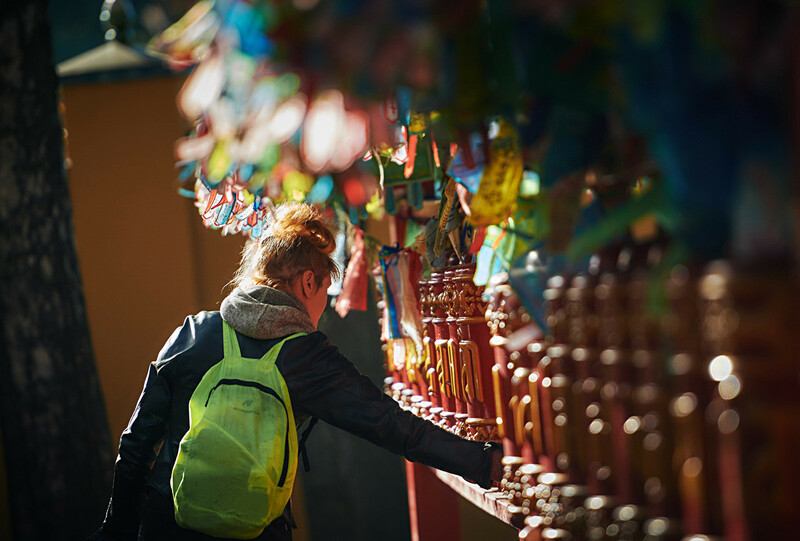 While it’s no longer the republic’s key center of Buddhism, it’s still considered an important place of worship. 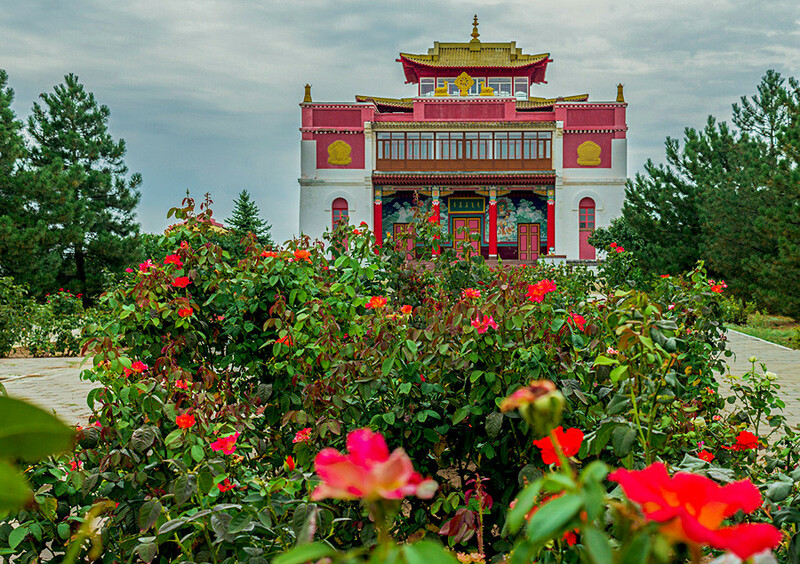 One of Russia’s largest Buddhist temples is Tuva’s Ustuu-Khuree complex founded in 1905. 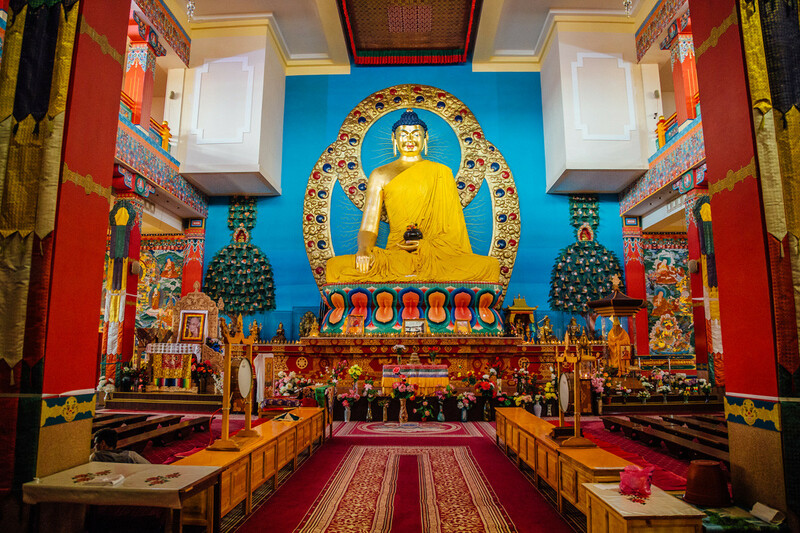 Constructed with the help of Tibetan Lama Kuntana Rimpoche, the temple functioned until 1930 when it was shut down by authorities, like many other temples. 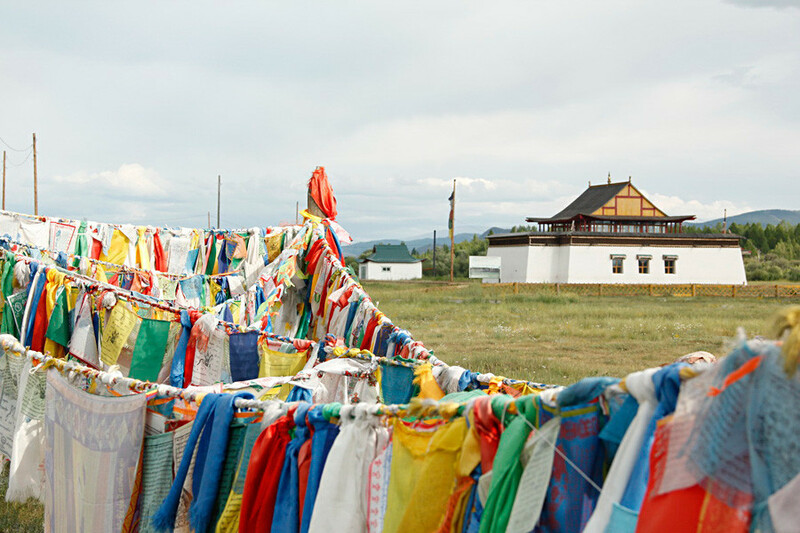 In 1999, the government decided to revive Ustuu-Khuree, and to attract public attention and donations by launching the International Festival of Live Music and Faith “Ustuu-Khuree,” which is now held annually. 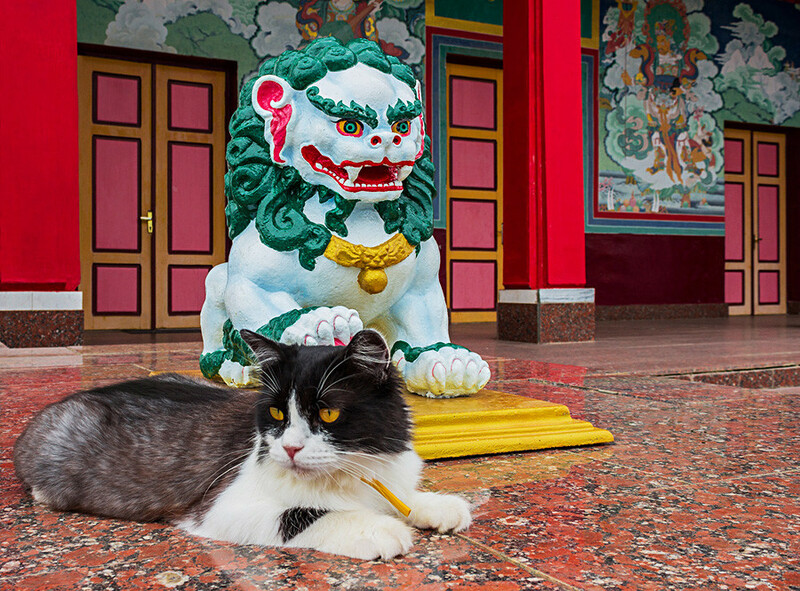 Interested in Buddhist art, meditation or traditional medicine, but don’t want to leave Moscow? 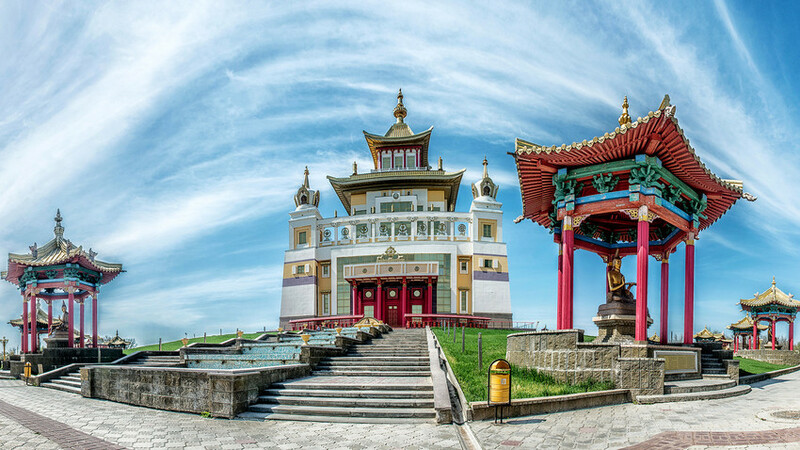 No problem, check out the top 5 Buddhist sites in the Russian capital.